You might always try to stay with the actions that will help you get further in your career. You might be doing great during the first two weeks but on the third, you fall off the wagon and now, you have to start all over again which is much harder to do each time. Simply, there may have been times when at the first weeks of school you might have been on track with the syllabus, you do your homework and review your notes but gradually you start losing motivation and feel like not doing your assignments or homework for now and keep postponing till the last minute to the deadline. Here I am going to tell you how to stay consistent. Being consistent is a question of behavior management. As you are the CEO of your life, you can promote, demote or fire any behavior, emotion or thought. 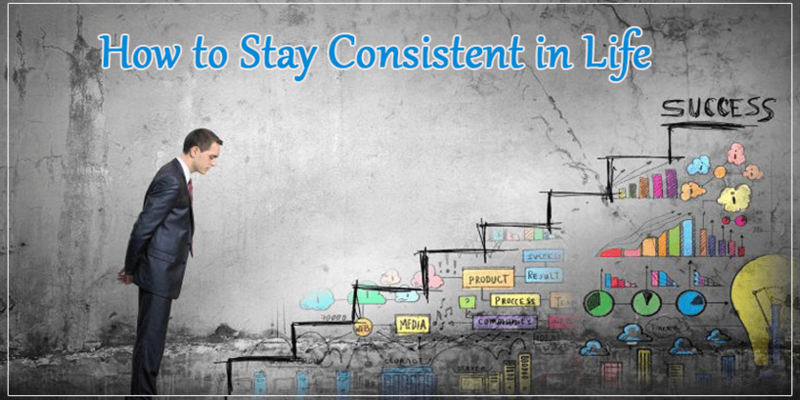 With that in mind, I am going to share 5 tips that will help you stay consistently consistent whether at school, work or in everyday life. Undoubtedly, repetition is the habit of successful people. In order to make or keep doing something consistently, you need to integrate it into your routine. Firstly, you need to be honest when planning that. You also need to observe your actual routine, not your ideal routine and find ways how you can integrate that into your daily life. For instance, if you are not a morning person and you give yourself a goal of getting every day at 4 am. You might do wonderful the first days but gradually you will lose motivation and fail. In order to stay connected to what you are doing, you must have a clear compelling vision and know why you are doing it. For example, it a lot easier to keep saving consistently if you are saving for something essential to you like once in a lifetime trip. You should pick only one battle because we human beings have limited capacity when it comes to willpower or discipline. In fact, doctors do not recommend like you do not quit smoking or sugar at the same time or you are gonna fail at both. So, pick one thing and make your habit and keep your eyes on. Once you get success in, you can add on something else. When it comes to developing consistency, it is pretty important to ignore the voice in your head that mostly says I don’t feel like it. Any time when you want to be consistent at something worthwhile like meditation, working out or anything else, it is guaranteed that you are going to hear that voice. So you had better avoid paying attention to that. When you fail, you quit because you think it was horrible or even shameful. Rather you should think of it as fail, assess, internalize and learn. this will help you not only overcome failure but also recover and build yourself. Failure itself is a beautiful thing if you learn from. For instance, you want to start reading and make it your habit for the rest of your life. You keep doing better for the first days but if one or two days you were unable to read, you should not consider it a failure or a small hiccup as a complete destruction. Rather try to come back on the track. With that being said, I hope you will benefit from this article.